Subscribe for new articles, current offers, etc. Přihlaste se k odběru článků, nabídek, atp. Last update of my Goliathus.com website was approx 7-8 years ago. 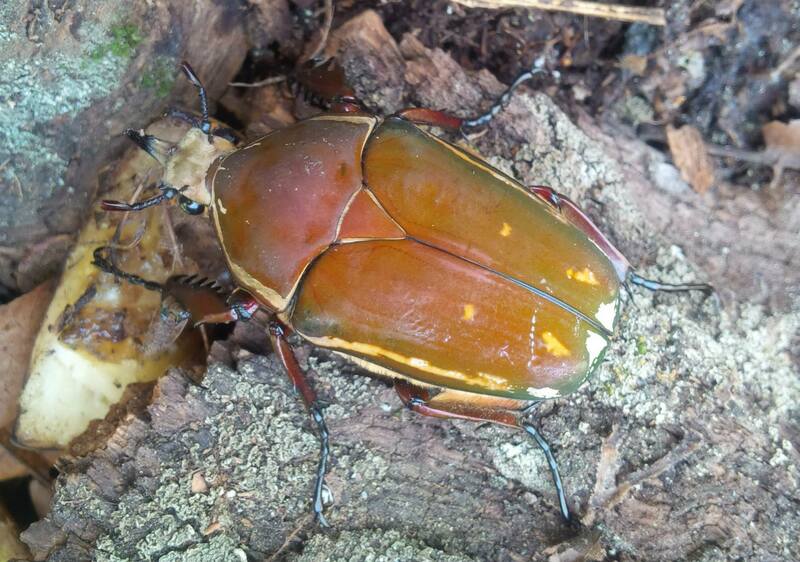 I decided start beetles again now at Jan 2015. Over the years, a lot has changed, but unfortunately not all. One of the things that has changed is the availability of contacts and overall capabilities. It’s not just about advertising, but there is facebook, youtube, lots of tutorials, tips, and so on. Also the prices are much more lower, what makes beetles super available. I can say, generally the prices are 1/10th than 8-10 years ago. But there are also things that have not changed over the years and need to move with it. 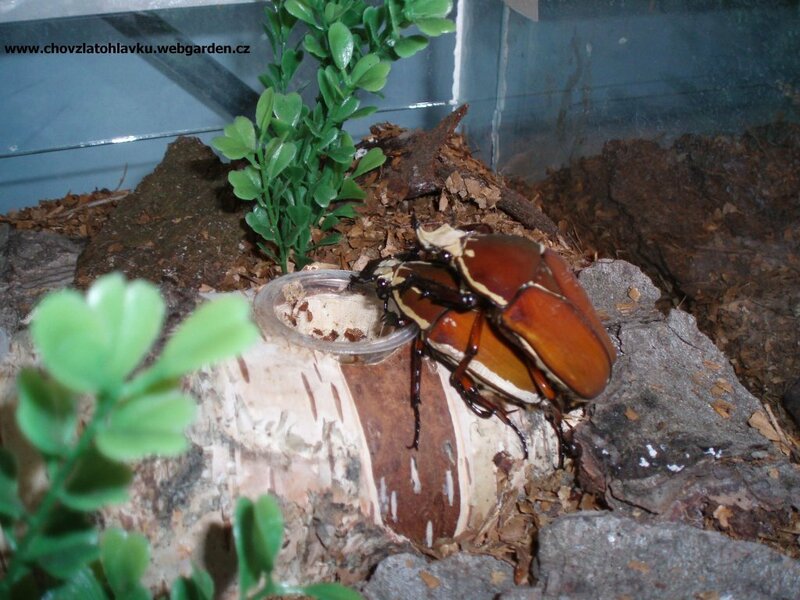 I decided to start this blog quite honestly (for someone it can be as aggressively) and write something about the beetle, which is very nice, one of my most favourite and unfortunately in Czech and whole Europe totally messed up – cross bred hybrid. Why this one is NOT M. ugandensis? Look at the drawing. 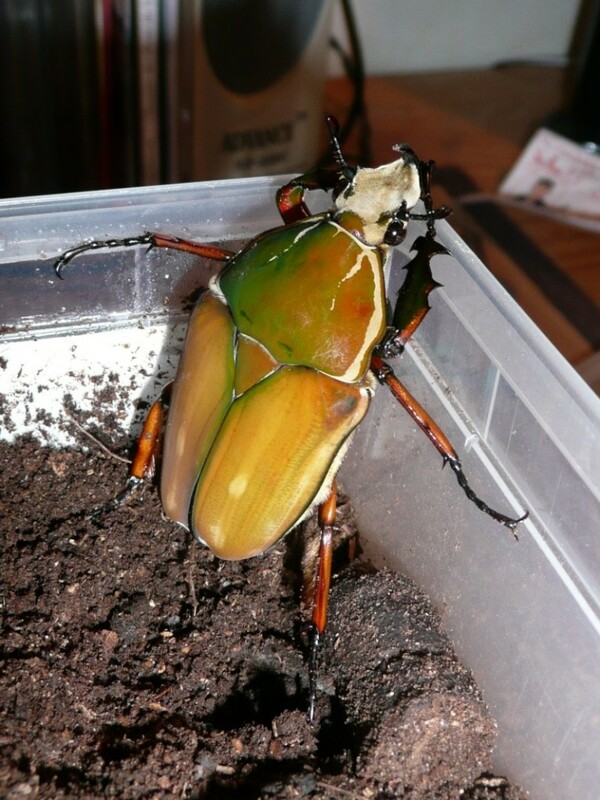 It is absolutely identical Mecynorrhina torquata immaculicollis (hereinafter MTI), only the red-green color. Essentially identical looks MTI if imago if its wet – not only dull but glossy color. In this case, appears to have „brown“ blood M. ugandensis (hereinafter MU) and will be a relatively young generation of hybrid (max. 2nd hybrid generation). Close hybrids: check it here – u can see, as its fresh hybrid generation, one female is resistant to MU genes and born green with drawing identical to MTI. HYBRID #2: trying to make a camouflage! A little bit more camouflaged hybrids. If you look at elytras, you could say its OK, brown form. But if you look at thorax, the combination of color and white decoration is really strange and not native. Looks like coloured MTI. The female looks nice and if you see her single, you should say its M. ugandensis. But the male revealed their masking! Who made this hybrid and what to do? What to do? Its very simple. Kill all those hybrids in your breeding! Its very sad, but its only way how to make M. ugandensis in breedings clear again! Or you know other way? Write a comment below! And who made it? This hybrid is almost 10 years on the market and still breeding … be careful what M. ugandensis you buy in Europe and always require pics of parent. All this shits were made by Alexandr Burda. I dont say he was only one, but he was first one. Cross breeding can be understood for own or study experiments, but should be NEVER sell publicly and never ever should be sell as clean genus!